Through the rock, they dig and dive for dozens or hundreds of meters, ending up in deep blue mirrors of water. 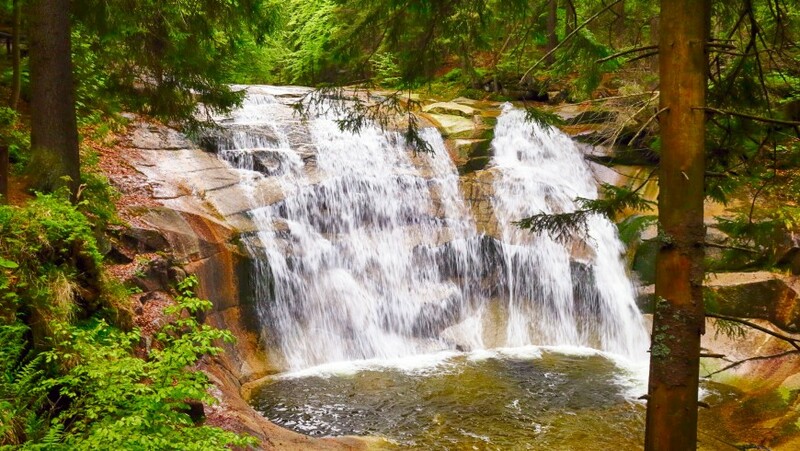 Waterfalls are natural beauties that take your breath away. In front of their magnificence we get excited and amazed. From Iceland to Italy, from Estonia to Ireland… Here you go some of the most charming waterfalls in all Europe! Are you seeking for strong emotions? Waterfalls always offer strong and unique sensations. Huge, powerful and marvellous: Here the 20 most beautiful waterfalls of Europe. 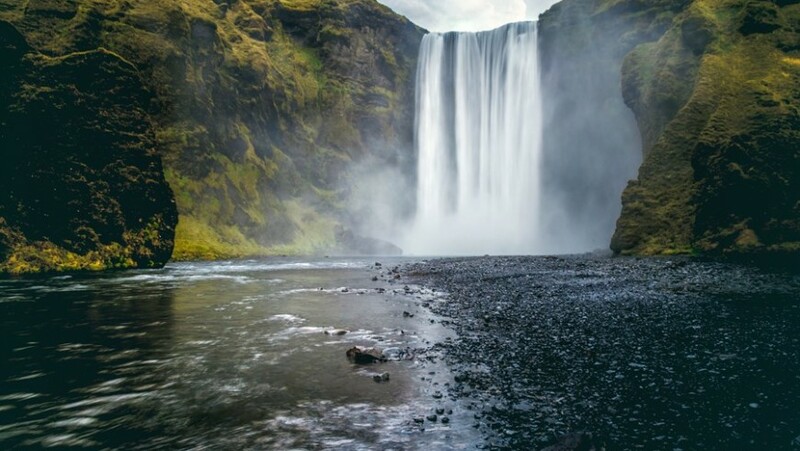 The waterfalls that we would like to visit and that worth a visit. 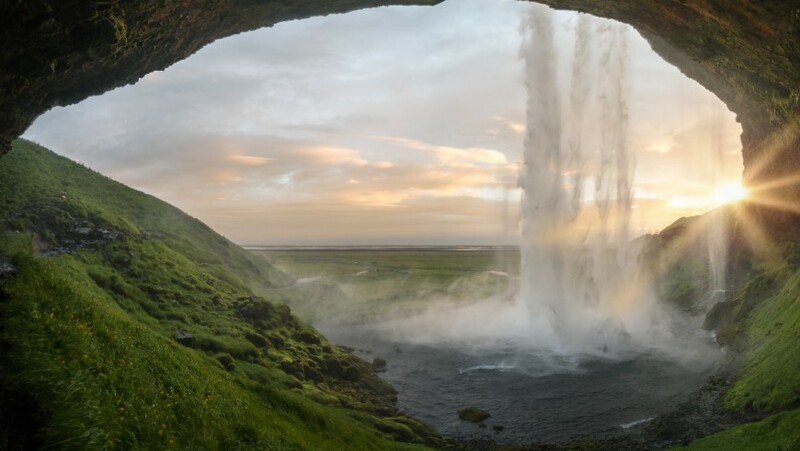 Seljalandsfoss is a wonderful waterfall. It’s visible from the main road that you follow to reach it and it’s easily accessible. The water from the rock, jumps in a small lake. It is possible to walk behind the jet of the waterfall down the path that is near the boulder. An essential show to see if you are in Iceland. The Grande cascade, placed on 422 meters high, is one of the most remarkable waterfalls of Europe. The air current generates a cold micro-climate. 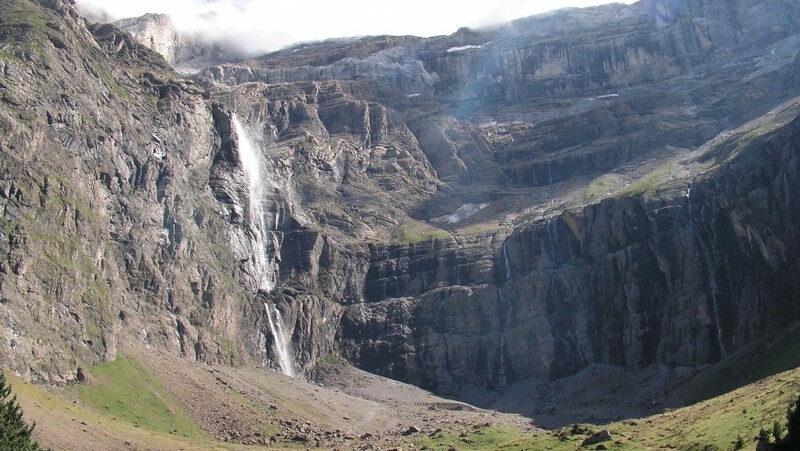 The waterfalls are 40 minutes walking from the Gavarnie’s village in the Hautes Pyrenees. These waterfalls give rise to the Gave de Gavarnie’s torrent, the upper part of the Gave de Pau’s flow. 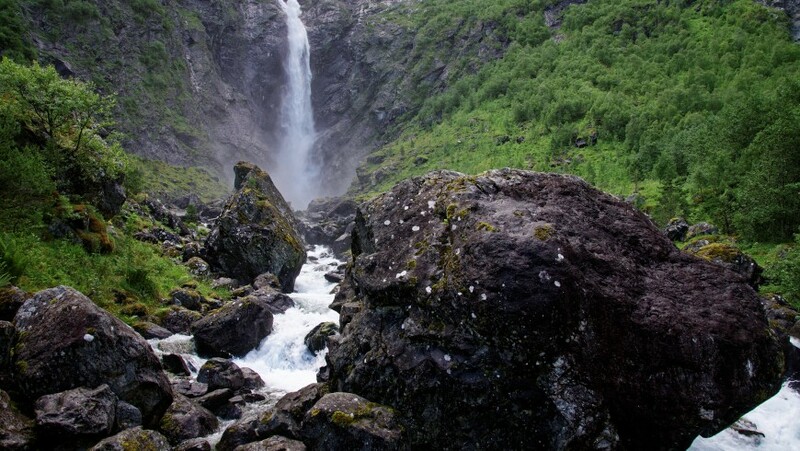 Mardalsfossen is one of the highest and most attractive waterfall in Europe. 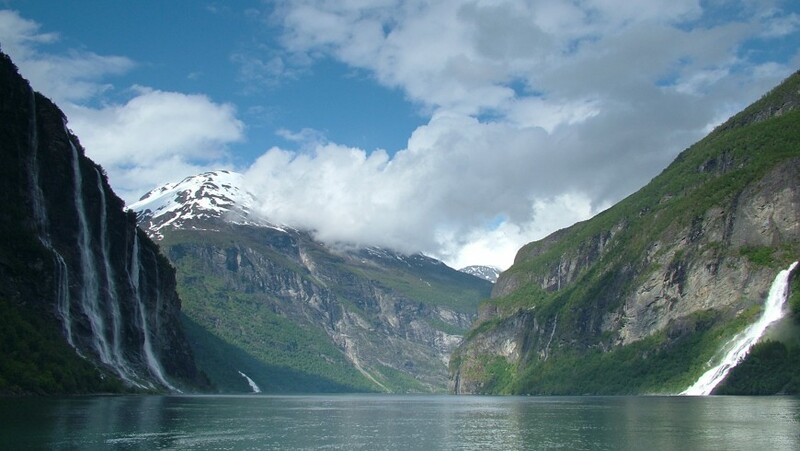 With an incredible power, it’s capable to satisfy the whole energy demand of Norway. To reach it from Eresfjord, you only need to get the Fv 191 and go ahead up to Eikesdal. They might ask you to pay a small amount of money for the parking spot in the private part. While getting closer to it, you can see the waterfall from long distance. It’s an incredible show because is 705 meters high. Hàifoss, is the most beautiful and interesting waterfall in Þjórsárdalur’s area. It’s a very remote place and that’s why it’s not surprising that you can find snow and a cold wind even in August. However, when the sun shines, this place becomes exceptional. The road to reach the place, is half paved road and the other half irregular. The last part of the road before getting there is dirt track, but once arrived, the view will leave you speechless. Another superb Icelandic waterfall. A distinguishing feature? 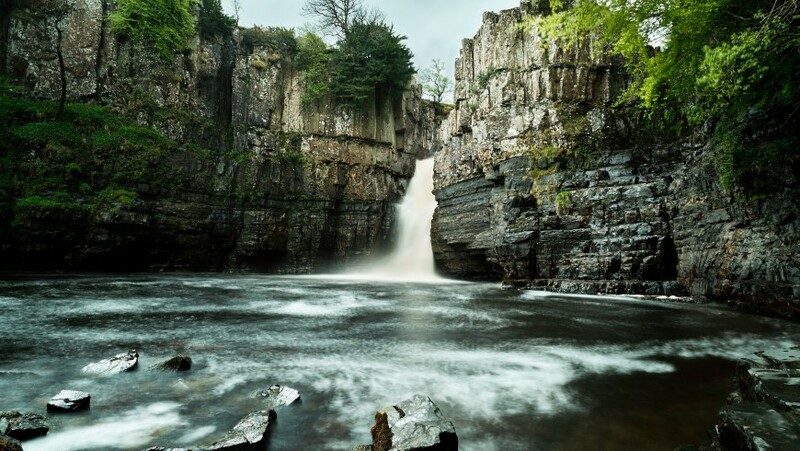 A spectacular footpath that arrives at the top of the waterfall. It’s so high that you will be able to admire all the view until the horizon. It absolutely worth the trip also because of the common phenomenon where the sun hits the steam and gives rise to astonishing rainbows. To this magical spectacle it was given legendary origins. 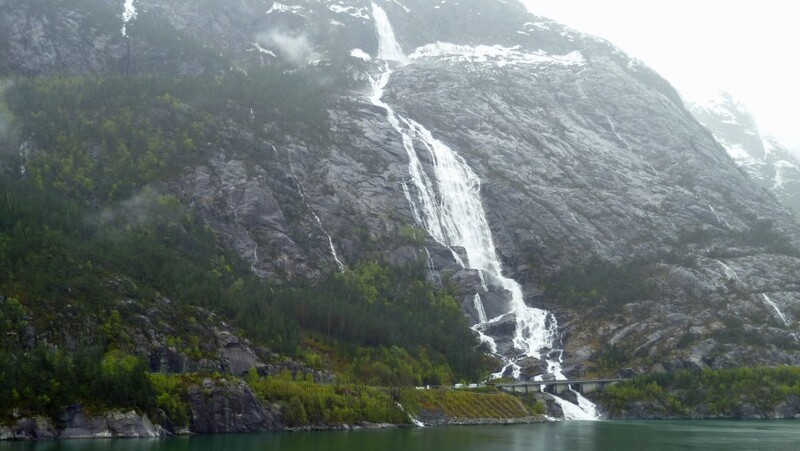 Norway has waterfalls everywhere. It might seem like a joke but if you are walking down the road you could suddenly come across in one of them. It’s that the case for Langfoss: travelling from Haugesund to Roldal by car makes you realise why exploring Norway it’s such an unique adventure, the feelings inside you are difficult to explain. In Langfoss it is possible to do trekking all the way to the top. Humble but very pretty to see, the waterfall is located next to the side of the road and there is a car parking nearby. 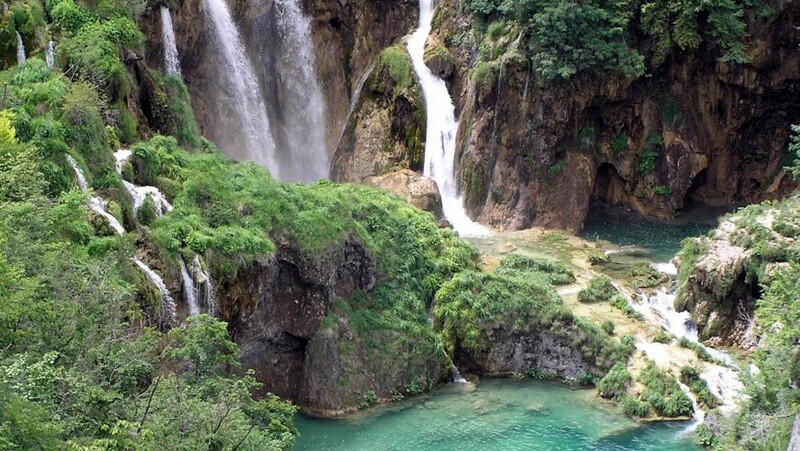 Visiting Plitvice is a right decision to take. The whole park is a world heritage site and once got inside it’s not hard to comprehend why. With uncontaminated nature, blooming vegetation and crystal-clear water, Plitvice is an exclusive place in Croatia and Europe itself. It can be visited all yearlong, the price of the ticket is advantageous considering the positive experience that will be for you. For further information: visit hours and price list. Our green advice: before leaving read our green guide of Croatia. 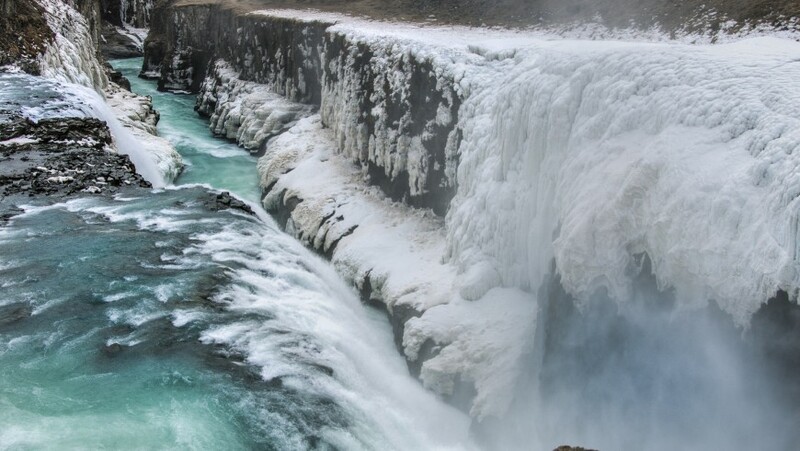 Gullfoss is one of the most known waterfalls in Iceland. 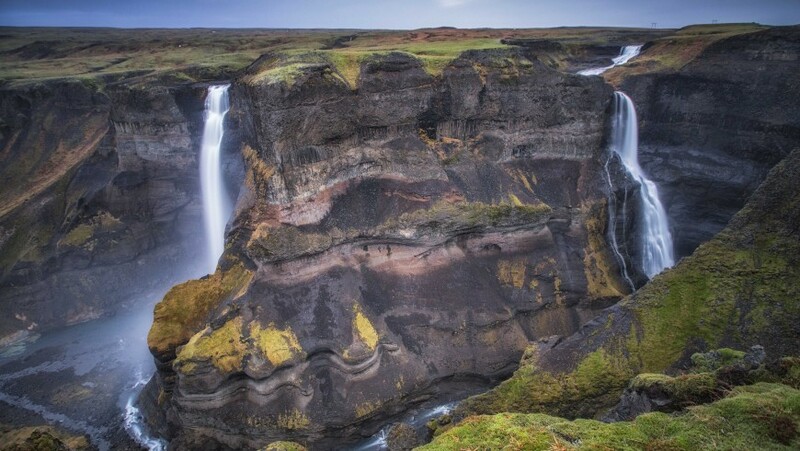 Also known as the “gold waterfall” or “the queen of all the Icelendic’s waterfalls”, is locates 120 km away from Reykjavìk. 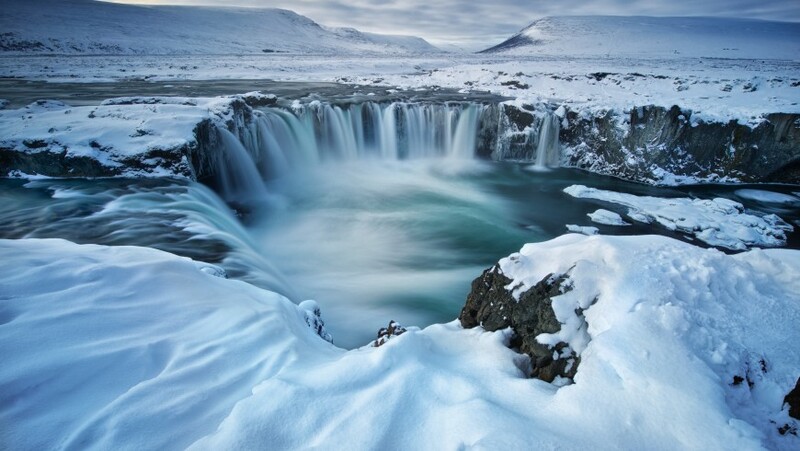 It’s part, altogether with Þingvellir and the closer geyser (Geysir and Strokkur), of the so-called golden circle: a mix of natural attractions that will amaze you. Because of its beauty and its reflection of light due to the double-jump, it’s a gift of the nature to preserve. Thanks to a paths’ network, the waterfall can be reached in total safety to the frontal and upper part. Iceland is a constant surprise: Dettifoss is “only” 44 meters high but the water flow is unbelievable. It can be admired from both sides of the canyon, but the emotion will be either way unique. 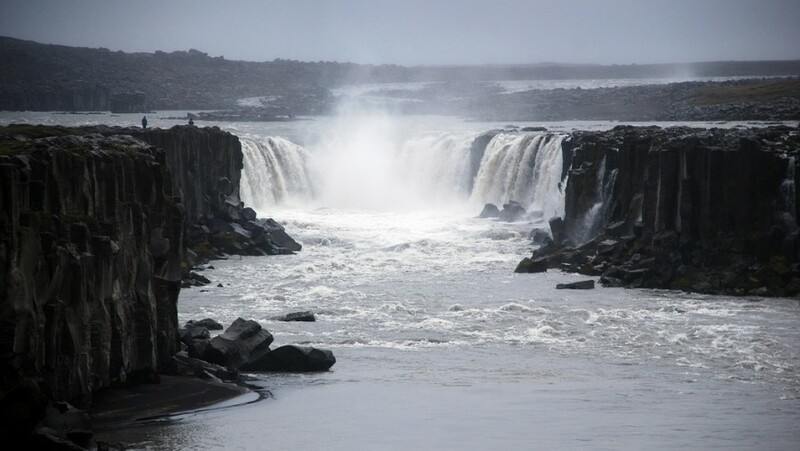 Dettifoss is the largest Icelandic and European’s waterfall. The power of the water lifts splashes visible from the distance of 1 km. The sun light gives rise to stupefacient rainbows. The power of the impact is so strong to dig into the rock underneath several centimetres per year. Estonia has its natural beauties. Often, thinking about Estonia, you immediately think at the wonders of the capital city, Tallinn. Going to explore the nature, it’s a spectacle in Estonia too. The road to get there is quite simple and once arrived, we recommend a walk around the zona near the waterfalls. an inimitable immersion in Estonian nature. Fierce, remarkable, bright. The waterfall of the Marmore is among the highest in Europe, with an overall difference in level of 165 meters. Considered the flagship of Umbria’s heart, the name is given because of the carbonate’s salts on the rocks nearby, like white marble. The place is magnificent and easy to reach by taking the highway A1. To visit it you must book it in advance. For further information, click here. 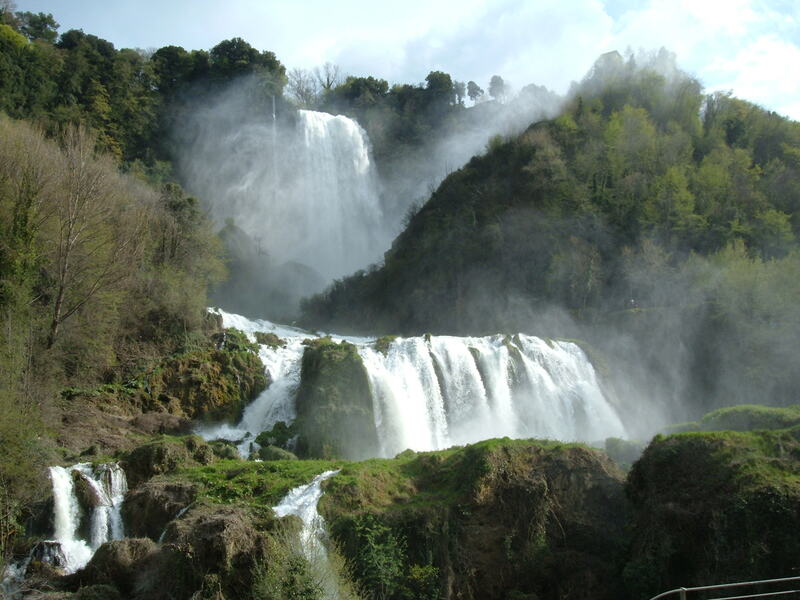 Our green advice: Stay in one of the eco-friendly tourist accommodations near to the Marmore’s waterfalls. From the B&B Knights of the lake, with an amazing view on the Piediluco’s lake, you can use the mountain bike to go to explore the waterfalls. 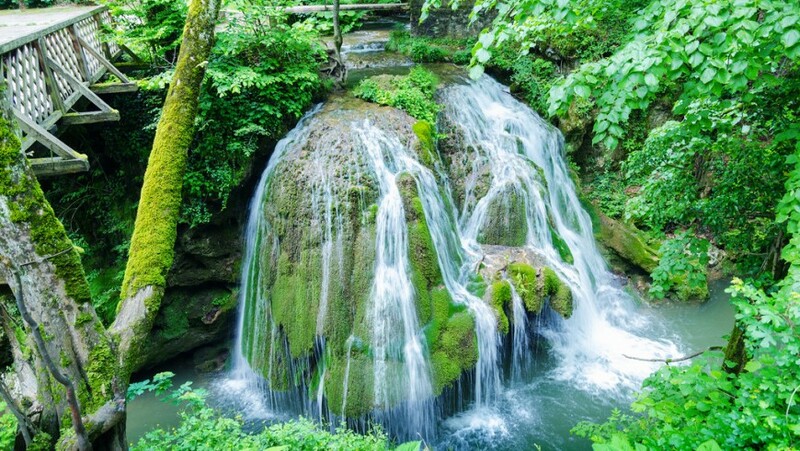 Veil waterfall is without doubt one of the most important natural attractions of Hungary. The name of this waterfall was given because of this peculiar phenomenon: part of the anhydride of the Szalajka’s stream, nourished from the underground rivers, evaporates in the air and gives back to the water part of the calcium carbonate. 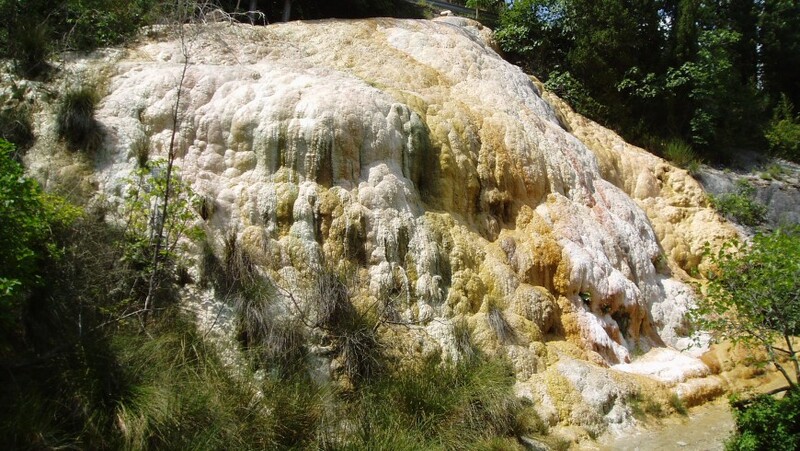 The water is full of this calcium carbonate and because of that a 17 meters high calcareous barrier was created. There are 18 balconies from which you can enjoy a good show. The calcareous jump recalls a white lace. 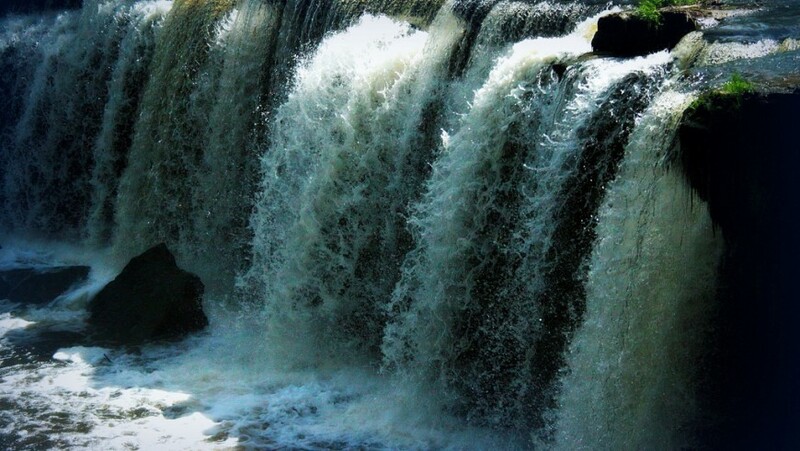 The “waterfall of God” is an explosive mix of uncontainable feelings. A nature’s giant: an enormous volume of water, emotion, fear, almost impotence. An overwhelming phenomenon: this waterfall without any barriers will make you feel excited if you try to look over the cliff. It is possible to visit it from several spots. After parking the car on the road near the waterfall you can follow path along the river. A view that you can only find it here! It might seem like an imaginary and unreal scene, work of the fairies. Bigar’s waterfall it’s located in Transylvania. Almost a surreal place, under the waterfall there is a underground water source that flows sliding gently down the rocks. Once arrived in Bagir is not difficult understand why it’s considered one of the most charming and suggestive places in the world. A little spot of forest reachable only by feet after a short adventure in the wood. Here we arrived in Scotland, a place that encaplsulates many enchanting landscapes. Among them there is Skye’s island, with its magical Fairy Pools. Skye’s island is connected to the mainland thanks to a bridge. 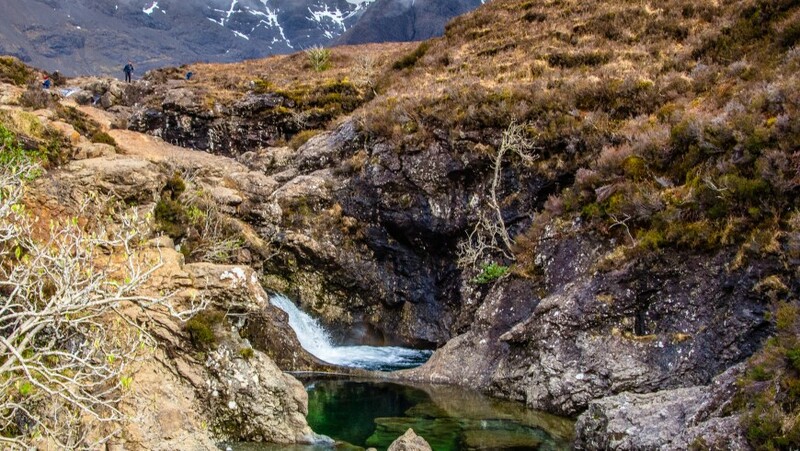 Once on the island, it will be possible to reach the Fairy Pools. They are part of a watercourse that descends from the Cuillin mountains: a real variety of waterfalls and fascinating colours. To reach fairy pools there are many paths for an adventurous trekking in direct contact with the nature. A delightful walk through the green wood with selvatic flowers everywhere. The water flows vigorous and disruptive. If you want to change for a different perspective, you can just walk over the large rocks. A challenge of course, but it will worth it. The power and noise of the water of this waterfall are incredible. Close to the waterfall there is a metered parking but for the beauty of this glimpse of nature the price is more than fair. An unexpected wonder in the heart of Norway. An endless variety of plants, thousands of colours and inebriating smells. Looking at the spectacle of the sea where the 7 sisters flow, the first think that comes up on your mind is to jump! These seven waterfalls pour in the sea the water coming from the glaciers. Their name is the result of a legend: According to this legend, seven beautiful sisters casted a spell on a man, that couldn’t choose one of them. The girls, desperate for the wait, started crying until they turned in the beautiful waterfalls that we see today. Also known with the name “White Whale”, the peculiarity of these “San Filippo Baths” is in the thermal waters. 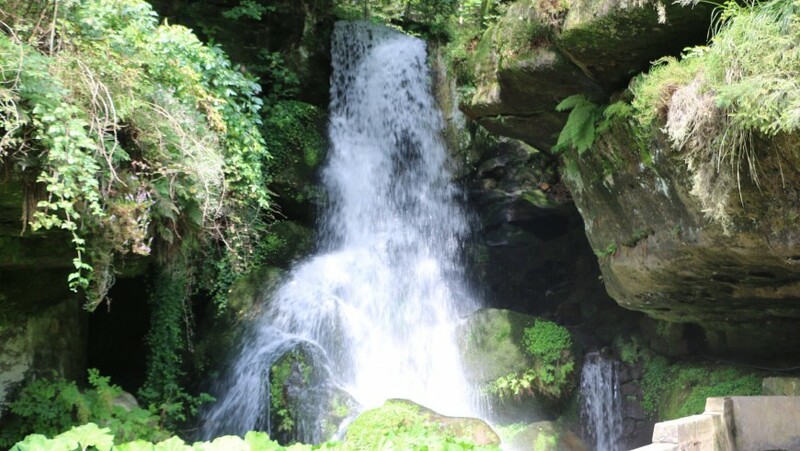 Representative of the place is a spectacular monumental limestone formation that the thermal waters settled on stream. The baths for free are on the Fosso Bianco river, close to the San Filippo Baths’ thermal facility for a fee. Our green advice: chose an eco-farmhouse or an eco-friendly bed & breakfast near to the San Filippo Baths, for example Podere di Maggio’s eco-farmhouse that offers glamping in the deeply nature and a bio-pool with landscape’s view. In Germany also, is possible to find stunning natural views like in Saxony, the Lichtenhain waterfall. Its water flow increased a lot with the years. In fact, its volume reinforced thanks to a dam nearby. 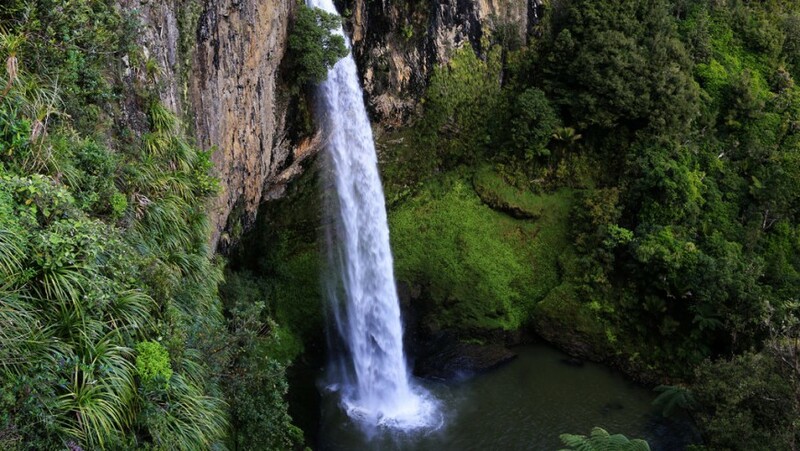 The waterfall’s bigger capacity makes it one of the most suggestive place of all of the country. In Mumlavký, among the mountains of the Giants, there are the flows of the impetuous Mumlava river that run through the different levels. Here it is where can be found the beautiful Mumlavký river, 8 meters high. You can get there from the Harrochov city, with a very convenient path, walkable with any kind of weather. It can’t be missed the view “the devil’s eye”, a pit dug straight in the rock underneath the waterfall. In short, the world proved once again the beauty of its gifts. It’s up to us to visit the most hidden and amazing secrets, taking care of their glow. If travelling through the nature is your greatest passion, don’t miss the chance to discover the Top 10 most beautiful lakes of Europe. An essential emotion for nature’s lovers. This entry was posted in journeys and tagged Croatia, Europe, France, Germany, green, green areas, Iceland, Italy, nature, Norway, Scotland, sustainable tourism, Trekking, uncontaminated nature, United Kingdom, waterfall, waterfalls. Bookmark the permalink.